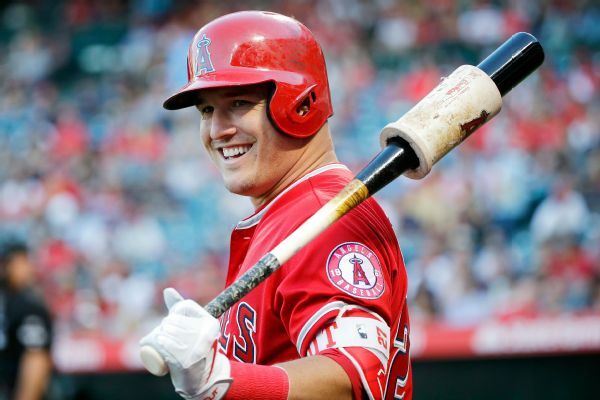 Trout will join the Angels on Monday in Texas after testing Sunday showed further improvement to his right groin. 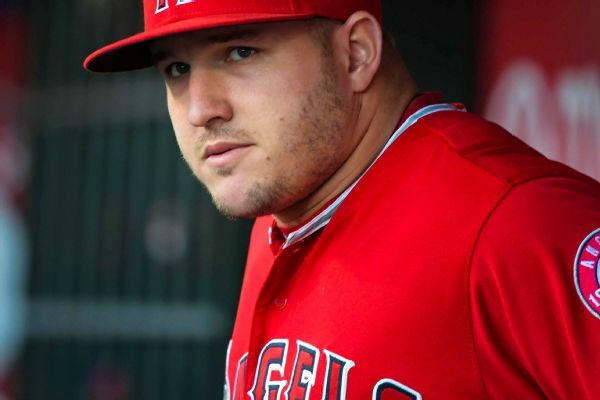 Mike Trout, who is nursing a groin injury, did not travel to Chicago for the Angels' series opener against the Cubs on Friday. 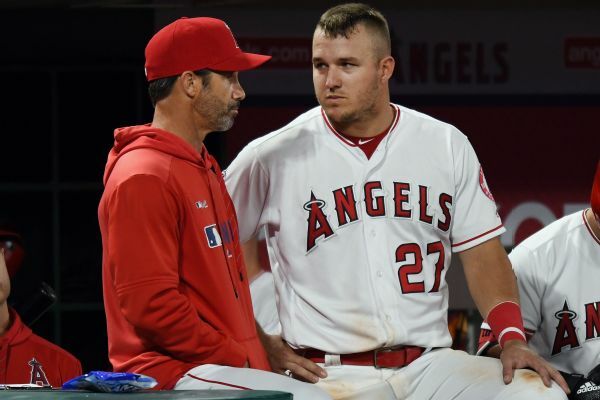 Mike Trout is hopeful he won't be out of the Angels' lineup for long, but he remains cautious since it is early in the season. 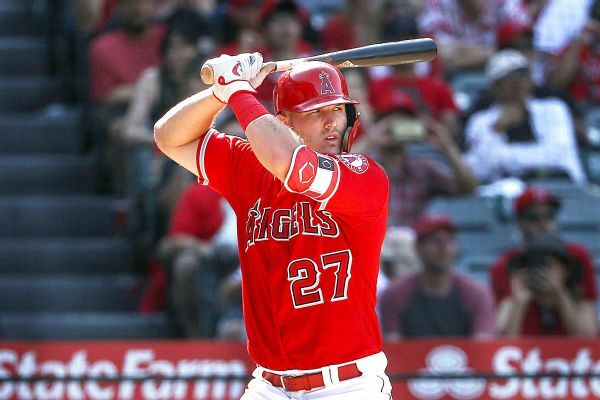 Angels star outfielder Mike Trout was removed from Tuesday's game against the Brewers because of a right groin strain and is day-to-day, the team said. 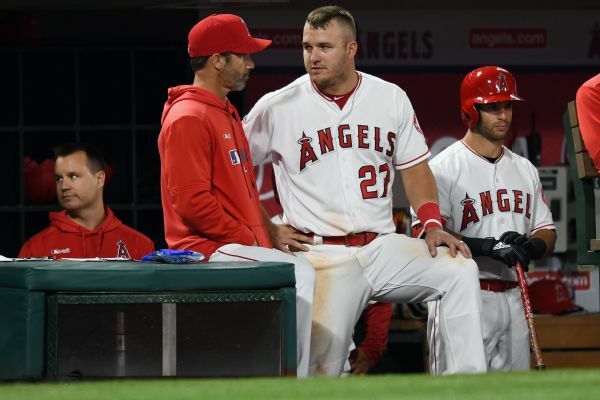 Mike Trout suffered a "strawberry" sliding into the bag and later a leg cramp while going 1-for-3 with a walk in the Angels' 4-0 loss at Oakland. 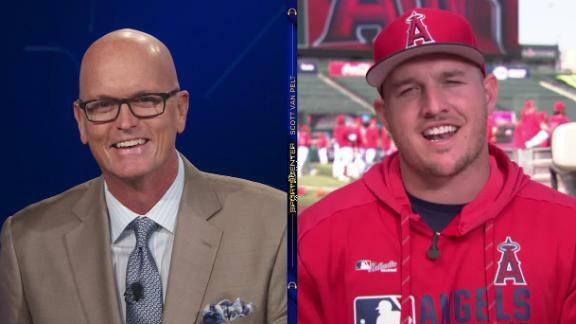 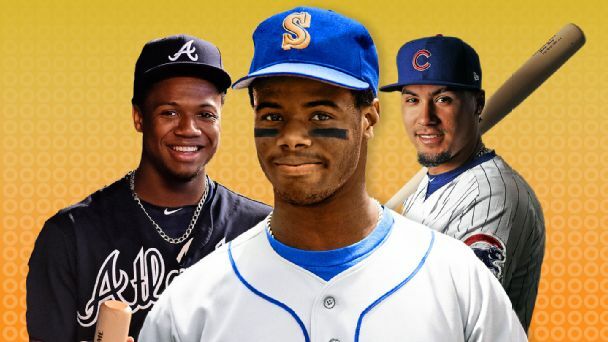 Mike Trout joins SVP to detail his new, long-term contract with the Angels and dealing with the weight of a high-profile, max contract.